Discussion in 'Site Flipping' started by Quality1, Oct 1, 2018. About six months ago (Apr 2018) I decided to make a new website with some old digital products I'd created over the years. I would be giving them all away for free, in exchange social media follows and the users email address. I designed the website with SEO/growth in mind. No monetization, ads, etc. 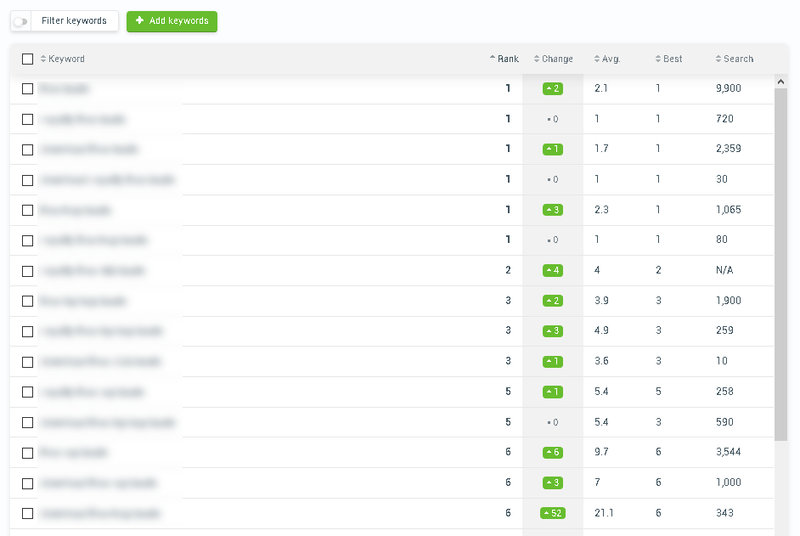 I am happy to say that my SEO work has paid off, including a #1 ranking for my main keyword. I am no longer in the industry, and have no desire to get back into it. So while I am thrilled with the sites growth, I have no use for it personally. My intention was to sell it to someone else who's still in the industry, or someone who's thinking of getting into the industry. I intentionally kept the site non-descript so someone else's branding could easily be implemented. Because my site isn't monetized, I don't think I will get good value for it listing it on a site like Flippa. I don't think EmpireFlippers would accept my site at all as there's no income. I haven't found any "brokers" yet that I'm happy with either. Because my products are old, I doubt they'd sell very well if I stopped giving them away for free. I briefly tried content locking / CPA with OGads, but that was a disaster. If someone were to list their 2018 digital products on here, I could envision sales of $50-200/day with its current traffic. The site is very new (Apr 2018), with only the last 2 months having good rankings and traffic. And because I'm retarded, I only put my Google Analytics code in last week. I was going off Squarespace's analytics before. My site is a .net -- the .com version of my domain is listed for sale at $300,000 USD. No website, just the domain for $300k. I have been back-and-forth on whether I should try to sell it now versus aging it for a while longer and showing consistent Google Analytics traffic. I have considered making a "this website is for sale" page on the site and buying FB ads for it that would be specifically targeted to the industry. I have also considered scraping emails of people in the industry and sending them a one-off email about my site being for sale. I have never sold a website like this before, so any and all feedback and advice would be appreciated!